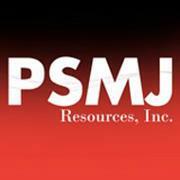 PSMJ Resources Blog: What’s the Secret to Nailing the Interview Q&A? What’s the Secret to Nailing the Interview Q&A? What’s the secret to nailing the questions during a project interview? Easy, ask your own questions. A few months ago a few colleagues and I were in Arkansas interviewing for a fairly large (at least by our standards) project. We were among the two shortlisted firms who had been invited to meet the selection committee. The firm we were competing with was an established organization, nearly 50 years old, with numerous projects overseas, shelves of national accolades and awards, and dozens of employees. Our firm was just two years old, very small, and had only a few projects under the belt of the company name. We focused the questions on our appeared inefficiencies and youth, and the clear fact that we were not the safe choice; and we turned them into strong positives. It paid off, and we were unanimously selected for the project. Try it during your next interview. Here is a list of some suggested questions to include in your presentation (in no particular order), written as read by the interviewers. 1. Specifically, why should we pick your firm instead of the other(s)? 2. Do you have any inefficiency associated with performing our project? And if so, how will you overcome it? 3. Why, personally, are you interested in our project, other than just wanting the work? 4. What challenges do you foresee in our project? What worries you most about it? 5. Is our schedule realistic? If not, how do you recommend that we change it? 6. Will we be dealing with the team here today for the life of the project? 7. When we call your references, what are they going to tell us? 8. What’s stronger in your firm, technical abilities or communication and management skills? Prepare your responses, but don’t create a script for them. You want the Q&A to be honest, candid, and conversational. Not all of these will be applicable to your situation, but you’ll get the idea. Tailor them for your own unique culture, projects, and firm structure.